Protecting your dog from getting Lyme Disease can be a real struggle. Most of the tick and flea protection available help protect your dog against ticks and fleas, but they don’t actually protect your dog from getting Lyme Disease, they just lower the chances of them from getting Lyme Disease by having a smaller chance of your dog getting Lyme Disease from them having fewer ticks on them. But if a tick that is infected with Lyme Disease gets on your dog, and it bites your dog, your dog has no protection against Lyme Disease. That is until now. The Nexgard Reviews that I am going to provide you will show you something different from other tick and flea protection. Nexgard is the only FDA approved protection to prevent infections that cause Lyme Disease in dogs. It not only kills fleas and ticks, but it also is shown to prevent transmission of the bacteria responsible for causing Lyme Disease. It will kill infected ticks before they can transmit the Borrelia burgdorferi infection to your dog. Nexgard is the first and only flea and tick control product for dogs to receive FDA approval for preventing the infections that cause Lyme Disease. Nexgard Chewables kill adult fleas and prevents fleas infestations. It also kills ticks. It prevents infections that causes Lyme Disease in dogs as a direct result of killing Ixodes Scapularis vector ticks. Comes in a soft beef flavored chew that is safe for puppies as young as 8 weeks of age, weighing 4 pounds or more. One chew works for a full 30 days. They are available in 4 sizes making is possible to get the right dosage for whatever size your dog is. 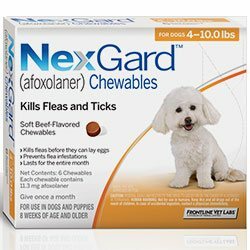 Nexgard only contains one ingredient, Afoxolaner, which absorbs into the bloodstream and causes uncontrolled activity in the fleas’ and ticks’ nervous systems, resulting in death. After it is ingested, Afoxolander is slowly expelled from your dog’s body through the metabolism, which is how Nexgard remains effective for a full 30 days. Your dog can take Nexgard with or without food. Make sure to watch your dog after you give them the medication to be sure that they have consumed the complete dose. If for some reason that your dog vomits within 2 hours of administration, redose your dog with another full dose. Lyme disease is the most commonly diagnosed tick-borne disease in dogs in the United States. In 2017, more than 300,000 dogs tested positive for exposure to Borrelia burgdorferi. The bacteria that causes Lyme Disease, and the risk continues to grow as the range of ticks continues to expand across the United States. This is according to the Companion Animal Parasite Council. Nexgard controls Black-legged tick, American Dog tick, Lone Star tick and Brown Dog tick which all can carry the Borrelia burgdorferi infection that causes Lyme disease. 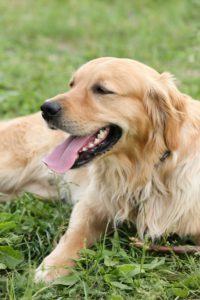 You can read more about dogs and Lyme disease here if you want more general background information. The largest drawback of this product is that a tick or flea needs to bite your dog to be affected by the medication. That means that your dog could end up with skin irritations from the flea or tick bites that could lead to possible hot spots. 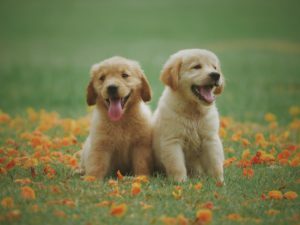 There are many flea and tick protection choices available that don’t require your dog to be bitten before it actually kills the tick. You can read the Scalibor Collar Review here. This protection kills ticks just by having contact with your dog. It doesn’t kill the infection that causes Lyme disease though like Nexgard does. Another drawback, but a very small drawback, this is available as a prescription medicine only. You will need to either purchase directly from your veterinarian or get a prescription from your veterinarian and purchase from an online pet store with your prescription. Reported side effects include vomiting, itching, lethargy, diarrhea and lack of appetite. The safe use of Nexgard in pregnant, breeding or lactating dogs has not been evaluated. Use with caution in dogs with a history of seizures or neurological disorders. Side-effects can include lack of appetite and lethargy. Nexgard reviews are very positive from dog owners who use this product. They rate this product at 4.97 stars out of 5 stars. To have the protection of knowing that your dog isn’t going to get Lyme Disease is very reassuring. This is the only product available that protects your dog even if they get bit by an infected tick. There isn’t any other product available at this point that can give your dog total protection. The one issue that I do have with Nexgard is that ticks have to actually bite your dog in order for it to die. I am not a big fan of my dog bringing ticks into the house that crawl off of the dog and crawl onto me or my family. There are other tick protection products available that will kill ticks on contact with the dog, but they don’t protect the dog from Lyme Disease if one survives and bites your dog. You do have the option to use both Nexgard and the Scalibor Collar together to get the best protection. Laboratory studies show that Nexgard began to kill fleas 4 hours after initial administration and proven 99% effectiveness at 8 hours and is 100% effective for ticks within 48 hours. It is important that you chose some type of product to help protect your dog from ticks and the possibility of contracting Lyme Disease. If you have any questions or comments, please leave them below. You can also follow justforyourdog.com on FaceBook, Pinterest or Twitter. Thanks for reading Piseth. Please share this information with others from your country to help all dogs have a better life. They truly can be a best friend. My very first dog died from Lyme disease not long after he returned home through the woods and I picked giant ticks out of his ear. This was oil the mid 90’s before people knew a lot about Lyme disease and before such effective treatments were available. While I’m sure Dingo would have died years ago from old age, I only wish he’d been able to live a longer life than he did, because he really was an amazing, lovable dog. I am very sorry that you lost your dog to lyme disease. I believe that the protection has greatly improved since the 90’s. At this point, Nexgard is the only FDA approved prevention against your dog ever getting lyme disease. It seems that all dogs go before it should be their time. Thanks for sharing your story. This sounds like a great alternative! I have two little boys that I get flea pills for monthly from the vet. They are expensive and I do not know that they guard against anything else actually. I love my boys and I want them to be protected. I am going to click on your links and do a little more research. They are about do for their next pill, and I might just switch! I am glad you found valuable information to help your dogs. They are worth protecting. 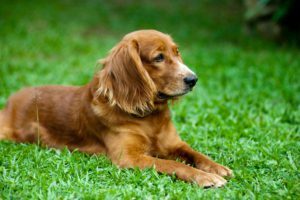 I have always used flea and tick protection for my dogs, but I have still always worried about them getting lyme disease since they still get ticks attached to them even with the protection. With Nexgard, at least I will know I will be protecting them against getting lyme disease and knowing I am giving my fur babies the best protection possible. Just a reminder that Nexgard is only available with a prescription. Thanks for such an informative article about Lyme Disease and our favorite four-legged friends. You know, I never really thought about dogs and the disease. I know for myself that I have very sensitive skin and when I go ‘out into Mother Nature’, I am ‘over-dressed’ to ensure that those mites don’t get ‘close enough’. Now, I need to think about my dog as well. We do go for walks, but not much in the nature. In any event, at least now I know how to take care of him if the little critters ever get close. Michelle, some areas of the country are worst then others for ticks, but don’t rely on the fact that you aren’t in a woods or long grass that your dog won’t get ticks. That is where they are mostly found, but I have gotten a tick in short cut grass near the house. It is best to always be safe. Thanks for leaving me a comment and for reading my article. Hi I was wondering what the effects of Lyme disease are? It would be terrible for any dog to get the disease, is there any other way to get infected rather than by ticks and fleas? The possible side effects leave me a bit concerned. What are the chances of getting those side effects? Peter, thanks for your comment and questions. The effects of lyme disease could include stiff joints, lethargy, lameness and fever. 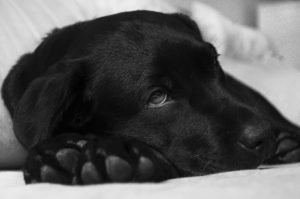 Here is a great article on dogs and lyme disease and the symptoms. A large problem with lyme disease is that it is hard to figure out of that is the problem. Most of the symptoms are the same for many other things, and lyme disease is usually a process of elimination, since it doesn’t always show up in blood work. The only way to contract lyme disease is from being bit by an infected tick. Proactive protection is the best way to avoid lyme disease. I must say that I have not have a experience with this product but as I see it is trusted and FDA approved which is very important for me. We should pay more attention on our dogs and give them quality medications instead of some cheap products. My cousin’s dog has this type of disease and I will definitely forward him this article. Daniel, I agree with you about making sure we provide our dogs with the best protection possible. Lyme Disease is nothing to mess around with. In some cases, treatment for lyme disease will help your dog, but there are several cases where you just aren’t able to get it under control, or when it seems to be gone but symptoms can reappear years later again. Please do forward the article to your cousin, and I hope his dog is doing ok. The problem with nexgard is that the teak should bite the dog before it can die, i am just imagining my self having my dog in my car with the teaks stil sucking blood from my dog and dirtying my car as it dies and falls. I strongly agree with you that Nexguard and the scalibour collar are the best together, This is really need to have to get rid of teaks. I do feel that it is a real drawback with the Nexgard product that the tick has to actually bite your dog to die, but the ability to completely protect your dog from ever getting lyme disease is a great positive. I strongly recommend using both the Scalibor Collar and the Nexgard together. I currently use the Scalibor Collar, and rarely do I see any ticks on my dog, but once in a while one will get attached to my dog. When using Nexgard with the Scalibor Collar, you are providing your dog the best protection to keep them safe.